Multi-wall Polycarbonate panels are the best solution for conservatory roofing for the modern home. Available in thicknesses from 4mm all the way up to 35mm for maximum insulation values and unrivalled color/tint options these panels are at the forefront of conservatory technology. Blocks 99% of UV radiation. 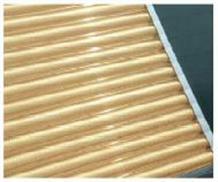 Superb thermal insulation with "U" values as low as 1.2. Lightweight with excellent impact resistance. The range of tints are "Clear" - "Bronze" - "Opal" - "Bronze/Opal" and "Heatguard/Opal" Please see colour tab for large images. See colour tab for larger images & more data. 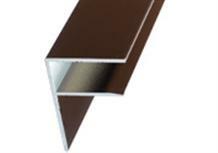 We offer a comprehensive range of multi-wall polycarbonate from 4mm to 35mm. This chart shows the largest sheets we have. We can cut what you want from these subject to certain minimum amounts including a minimum order level of £45.00 Exc VAT. Sizes are shown in inches in the chart below this one. For those of us who would prefer to see it in "inches" please Click here. The panel numbers & sizes. If solar inserts - colour required. If accessories ie top ridges, self supporting or mountable support bars. 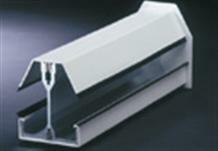 for more information see the Glazing bar, Solar inserts and Accessories Tab at the top of this page. Please state if you want support bars that are self supporting (i.e. also act as a rafter or if you just want support mounts to fix to a rafter. This is very important. Please advise as much as you can about the roofs general design type, incline angles, etc. Any problems please take a look at our Technical literature or we can get a member of our technical staff to ring you. 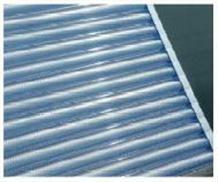 FOR SOLAR INSERTS, SUPPORT BARS and ACCESSORIES - PLEASE SEE THE "GLAZING BAR, SOLAR INSERTS & ACCESSORIES TAB AT THE TOP OF THIS PAGE. Technical and Other Data - Some of these pdf's are over 1Mb so time should be allowed for them to download. 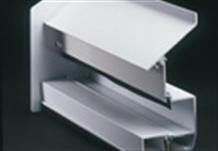 Product Data: Exitex Capex - PVC and Aluminium End Closures Lean to Flashing Profile and boss ends. - Click here. Product Data: Exitex Capex - Roof diagram for 40, 60, CFX MK2 ridge. - Click here. Product Data: Exitex Capex - Cover caps, Hip & Valley Gaskets and bar. - Click here. 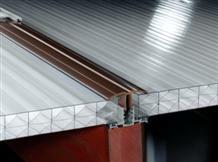 Product Data: Exitex Capex - 40 & 60 Pitches & Gable End finishing & Wall flashing. - Click here. Structural Glazing Bars: The LS (Longspan) glazing bar system is a profesionally engineered lean too roof system which can free span up to 4 metres at 600mm centres. 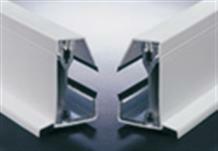 Timber or Steel Supported Glazing Bars: We have two ranges of supported glazing systems. The Snapdown bar range for quick and easy construction of simple roof designs and the Exitex Capex range of bars, ridges and fixings that accomodate more complex roof designs such as Victorian and Edwardian styles roofs. In addtion to the components shown below there are further choices shown in our Technical brochure accessible from the Technical data tab at the top of the page. For simple mono pitch roofs such as car ports, porches & gazeebos the Snaptyte glazing bar range is a cost effective solution. Avaliable in White and Brown the 3 position cap system caters for 10mm - 16mm and 25mm Polycarbonate. 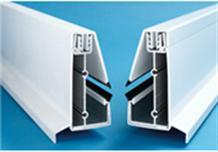 There are other ranges of glazing components. They are too large to publish but you can access them via the links below. Solar Reflective Inserts: The 21st Century solution to keeping your conservatory cool in summer. Transform any colour tint and thickness muti-wall polycarbonate sheet into solar reflective roof panel that can reflect up to 80% of solar energy reducing internal conservatory room temperatures by up to 25“C. The smart way to enjoy your conservatory in the summer heat. 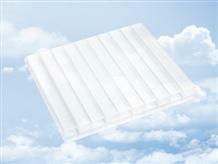 These are best fitted professionally when we are cutting & preapring your multi-wall polycarbonate panels. Prices vary. Please enquire. 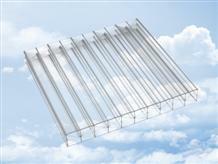 Can reduce internal temperature by up to 25“C. More effective - cleaner and cost effective than blinds. Eliminates 99% of UV reducing fading to furniture. Out performs expensive glass products. Clear tint material is avaliable in the following sheet structures 4mm - 6mm - 10mm Twin Wall, 16mm Triple Wall, 25mm X-Lite, 32mm X-Lite , 35mm X-Lite. Opal tint material is avaliable in the following sheet structures 10mm Twin Wall, 16mm Tripple Wall, 25mm X-Lite, 32mm X-Lite , 35mm X-Lite. Bronze tint material is avaliable in the following sheet structures 10mm Twin Wall, 16mm Triple Wall, 25mm X-Lite, 32mm X-Lite , 35mm X-Lite. A multi layered dual colour sheet giving the benifits of Bronze tint on the outer surface with the sharp clean lines of the opal inner face giving excellent reflective internal natural light. A multi layered dual colour sheet with a co- extruded heat reflective layer in the outer surface reducing the solar transmission by up to 50% compared with standard tint material, added to this excellent shading properties with the sharp clean lines of the opal inner face giving excellent reflective internal natural light. 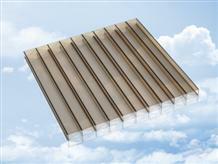 ROOF SHOWING INSERTED SOLARITE SOLAR HEAT DEFLECTORS IN THE 4 COLOURS AVAILABLE. 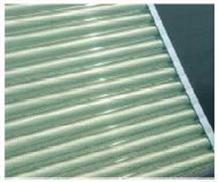 IMAGE SHOWING INSERTED HEAT DEFLECTOR CLOSE UP. Colour availability of accessories. Usually in White or Brown. Please ask on enquiry.